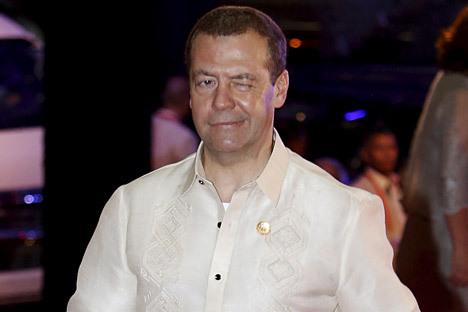 Russian Prime Minister Dmitry Medvedev began a 4-day visit to China on Dec. 14. During the visit, he will take part in the meeting of the Shanghai Cooperation Organisation (SCO) Heads of Government Council in Zhengzhou, Henan province, and will make a speech at the opening ceremony of the Second World Internet Conference in Wucheng. On Dec 16., Medvedev will have a meeting with his Chinese counterpart Li Keqiang in Beijing, where several bilateral deals are expected to be announced.